With each swing of his pickaxe, 52-year-old Lucio Mamani Katari breaks the dry ground under his feet, pulling up onions, shaking off the loose dirt, and gathering each by hand. He slowly works each line of onions in his field, collecting the fruits of his labor. 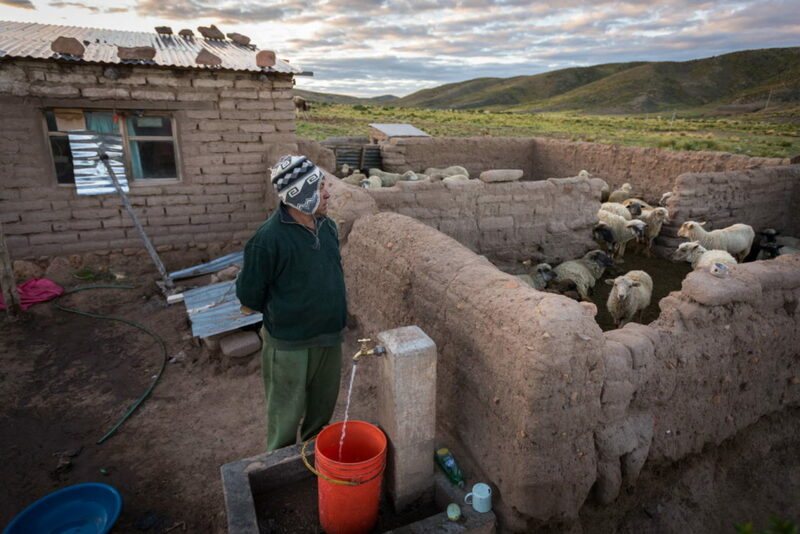 Lucio is also breaking ground in his Bolivian community, serving as an example to his neighbors. But this wasn’t always the case. His home in the Conchiri area is an hour’s drive off the main road from the little town of Soracachi. The land is not lush and green like other parts of the country. Conchiri is brown, and the sun at this high elevation — about 12,500 feet — is intense. Many people in this area don’t make enough money to meet basic needs. Lucio and his family were once caught in poverty as well. “I was a very poor man. The only thing I had were a couple of sheep,” says the father of eight. 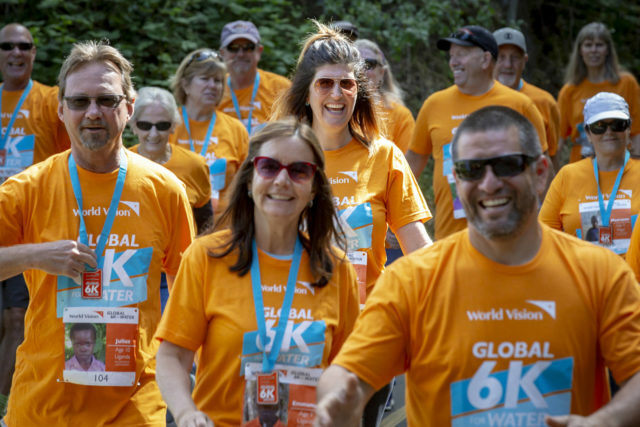 When World Vision came to Soracachi 17 years ago, he participated in the organization’s agricultural training program, learning to grow different types of vegetables and receiving supplies to build greenhouses. “Through the training I received, I took the risk of having a cow, then two, and then I started having a little more. And that began to change things,” he says. As World Vision helped him meet his family’s practical needs, Lucio’s heart was also open to new ways of thinking. 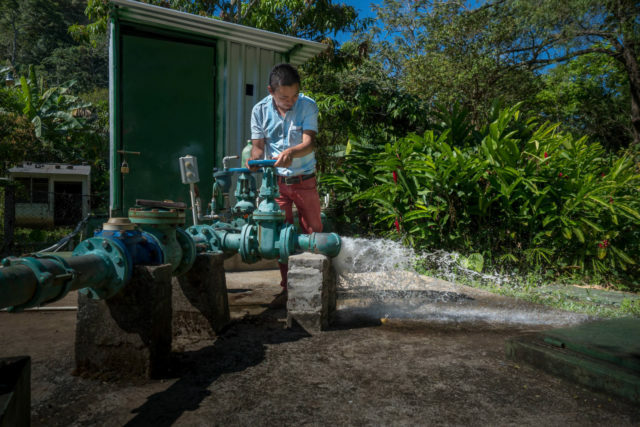 With his new skills, heart, and attitude, Lucio became a leader in local community associations, working with World Vision to bring clean water to the community. 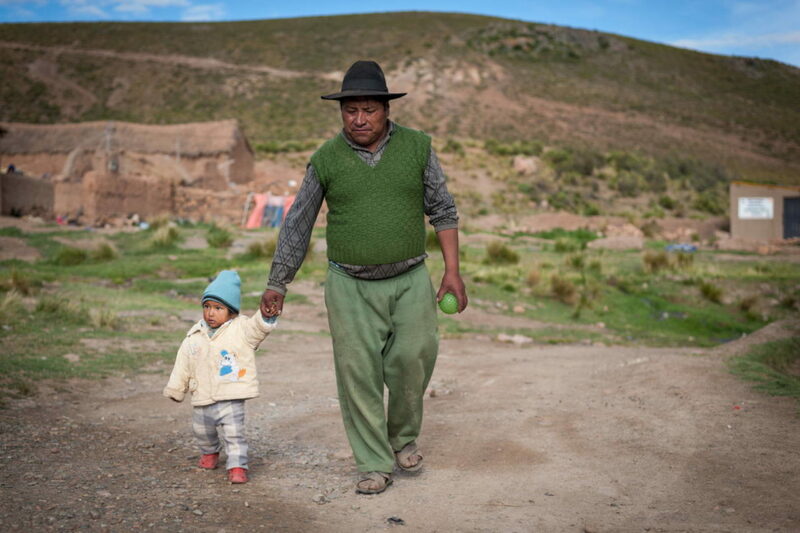 Through World Vision’s Active Fatherhood program, Lucio also learned to be a better parent. Active Fatherhood challenges traditional male values in the community and teaches fathers to be involved with their kid’s lives. They learned to help their children with schoolwork, take them to the doctor, and talk to them openly. Soon, Lucio began to see the value of education for his children through World Vision’s child sponsorship. He went against cultural norms and encouraged his 13-year-old daughter, Yuridia, a sponsored child, to pursue higher education. 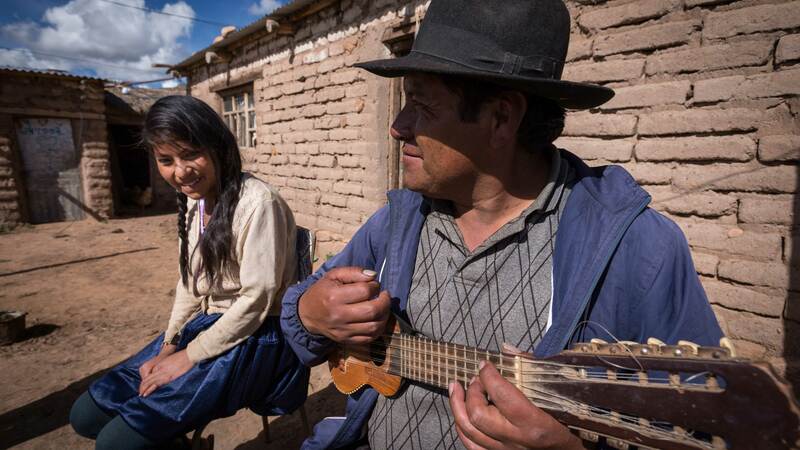 Since his community does not have a high school, Lucio and his wife, Alejandrina, sent Yuridia to live with an aunt in Oruro, a city about 90 minutes away, to continue her education. This decision likely decreased the chance of child marriage for his daughter. Today the family grows a wide variety of crops, including lettuce, onions, turnips, carrots, quinoa, and potatoes; the greenhouses Lucio built with World Vision’s help provide perfect conditions to grow strawberries and tomatoes. They also have cows, sheep, and llamas that they sell. Yet Lucio and Alejandrina don’t keep all the bounty just for their family’s use. As the produce ripens, they send a portion to World Vision for distribution among families in need. 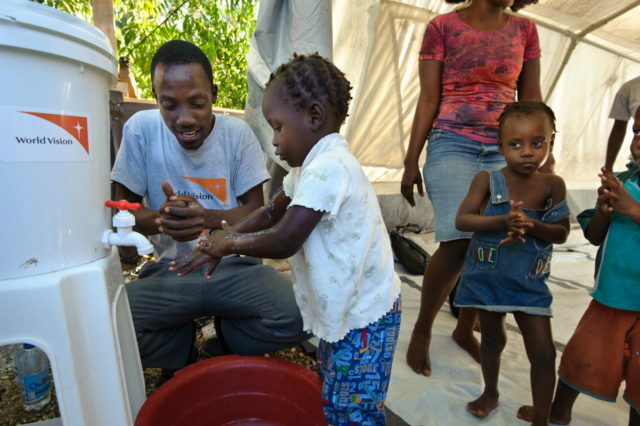 Lucio credits World Vision for much of his family’s well-being. “They looked after us as Christians,” he says of all the help he received. In turn, Lucio’s desire is to help others through good works rooted in faith. Praise God for his transforming work in people like Lucio! Pray that more fathers around the world will also experience God’s work in their hearts. Sponsor a child in Bolivia today. Your monthly contribution through sponsorship will help not just a child, but his or her family and community as well, providing them with basics like nutritious food, clean water, medical care, education, and more. Change families for good by sponsoring a child in Bolivia.